The Chateauneuf du Pape and Southern Rhone Vintage Chart gives you rankings for every Chateauneuf du Pape vintage from 1978 to today and information on when whether you should drink or hold your wines with wine and food pairing tips. You’ll find detailed information every vintage including details on the wines, growing seasons, weather reports, harvest conditions, style and character of the wines and vintages from 1978 to today in the Southern Rhone Valley and of course Chateauneuf du Pape. The vintage chart can also be used a general guide to much of the Southern Rhone Valley. While each appellation can be different, the information on the Chateauneuf du Pape vintage chart will help you find the wines you like, with the style and characteristics you like the best. You can also use this page as a Southern Rhone Vintage Chart. Rankings and scores in the Chateauneuf du Pape, Southern Rhone Vintage Chart are not produced using a mathematical average of scores. The ratings in the Chateauneuf du Pape Vintage Chart are put together using a rough average that is based on your chance of walking into a store or choosing from a wine list in a restaurant and randomly purchasing a bottle of Chateauneuf du Pape, or Southern Rhone wine from the vintage of your choice and have it offer a reasonably good, wine tasting experience. This is the purpose of the Chateauneuf du Pape Vintage Chart. That means vintage charts by their very nature are quite general. But it’s a good place to start. Knowing something about the vintage and producer is going to give you help when you are not able to try before you buy, which is most of the time. Of course there are always some good and even great wines produced in moderate years. But one good wine, or even a few good wines does not make a great vintage. And there are disappointing wines produced in the best vintages. Vintage guides are just that, they are intended to guide to the best vintages while explaining the characteristics that go into each year. It’s important to keep in mind, all years are not equal, and all tasters are not alike. There are years in the Southern Rhone Vintage Chart that on the one hand, provide you with a few great wines. But the majority of wines from that vintage were not successful. For example, take 2003 Chateauneuf du Pape. There are some truly great wines that really deliver the goods! But there are far more wines that matured too early, can be flabby or far too jammy and alcoholic. So 2003 does not get a high vintage score. When to drink wines is always subjective and depends more on the personal taste of the consumer than the wine. Setting that aside, as a general rule, most Southern Rhone wines can be enjoyed in their youth and they improve with age, providing the widest array of years for when these wines are can be enjoyed. It’s also important to note that after 10 years of age, Chateauneuf du Pape wines can be quite variable. As the wines age, if you’re buying older vintages, it’s better to seek the wines from the top domaine’s as for my taste, the majority of Chateauneuf du Pape wines are at their best between 5 to 15 years of age. You could even make a case for a smaller window, perhaps 8 to 12 years of age. Yes, of course there are wines that are better at 20 and 30 and perhaps even 40 years of age. But that list is quite small when you think about it. Southern Rhone, Chateauneuf du Pape wines are easy to create wine and food pairings. Northern Rhone red wines make perfect wine and food matches with all types of classic meat dishes, veal, pork, beef, lamb, duck, game, roast chicken, roasted, braised, grilled dishes, sausage and cassoulet. Chateauneuf du Pape Rouge wines are also good with Asian dishes, hearty fish courses like tuna, mushrooms and pasta. White Chateauneuf du Pape and white Southern Rhone wines are best served with a myriad of different seafood dishes, shellfish, crab, lobster, sushi, sashimi, chicken, pork and veal, as well as Asian cuisine. There is another point to consider, important to remember, the majority of large format bottles will extend the aging ability of the wines. And as the wines get older, provenance is key. Grenache needs love and care in good, dark, humid cold cellar to age well. Potential buyers of the truly scarce, older bottles of Rayas, Bonneau Celestins and others should exercise extreme caution and purchase them from only known and trusted sources, or through major auction houses that thoroughly vet the wines. The reason is, many of those wines have been counterfeited. A great Chateauneuf du Pape and Southern Rhone vintage, does not happen that often. But when it does, it can be defined as a year that produced high quality wines from the best domaines and the small houses in all price ranges. That means the wines at the top are of extreme quality as are value wines. The wines should offer a unique character, freshness, vibrancy, concentration of flavor, purity of fruit and have the ability to age and evolve. Those are the years in the Chateauneuf du Pape, Southern Rhone Vintage Chart that earned the highest scores. Ancient vintages of Chateauneuf du Pape are dangerous to buy as most wines have long since faded away, which is a polite way to say, they are dead. There are a few old wines that have really turned me on. For example, 1945 Clos des Papes remains of the great Rhone Valley wines of my life! 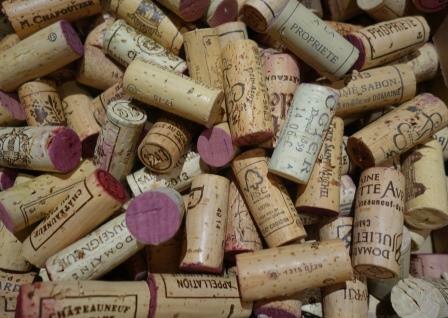 If you’re intent on buying older Chateauneuf du Pape, look for 1967, 1966, 1961, 1959, 1955, 1949, 1947, 1945, 1934, 1929 and 1928. If you find any of those really old, pre war years, feel free to invite me to dinner. I’d love to taste those wines with you!